Genealogist Alvin Holtzman will present “A DNA Discussion with a DNA Devotee” at the Wednesday, May 30, 2018, meeting of the Jewish Genealogical Society of Illinois at Temple Beth-El, 3610 Dundee Road, Northbrook, Ill. His presentation starts at 7 p.m. Registration, networking, and the JGSI genealogy help desk and research library will open at 5:30 p.m. Everyone is welcome to this free event. 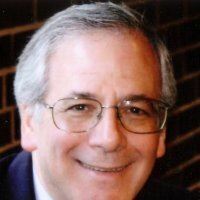 In his presentation, Holtzman, a long-time JGSI genealogy help desk volunteer, will share what he has learned from testing more than 30 relatives and would-be relatives. One of the first to DNA test (kit No. 60) with FamilyTreeDNA, and a DNA tester with AncestryDNA and 23andMe, he will touch on the strengths and weaknesses of each genetic testing service. Plus, he’ll review MyHeritage.com and GEDmatch.com. Genealogy has been a favorite hobby of his since 1979. Holtzman has attended the International Association of Jewish Genealogical Societies annual conference at least 12 times since 1999. His research has taken him around the world, visiting with relatives discovered through his research efforts. Professionally, he is a former owner of a printing and copying service in downtown Chicago. Prior to that, he worked for 19 years as a marketing manager for Sears, Roebuck and Co.